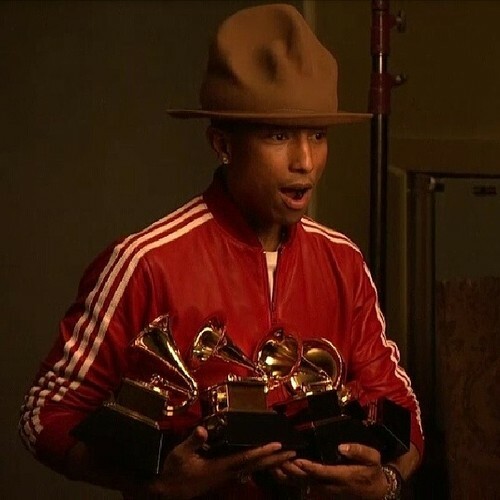 His latest recognition, ‘Grammy-Producer of the Year 2014’, comes after an amazing year with his chart-topping productions “Get Lucky” with Daft Punk and Robin Thicke’s “Blurred Lines” taking over the radio airwaves. 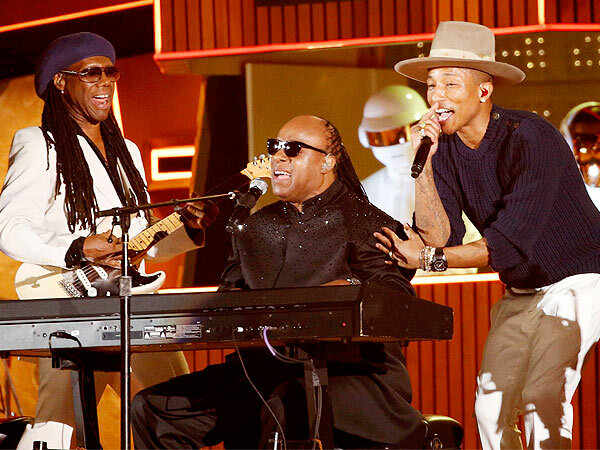 Williams sent the ‘Twitter-sphere’ into a frenzy during the 2014 Grammy Awards show. 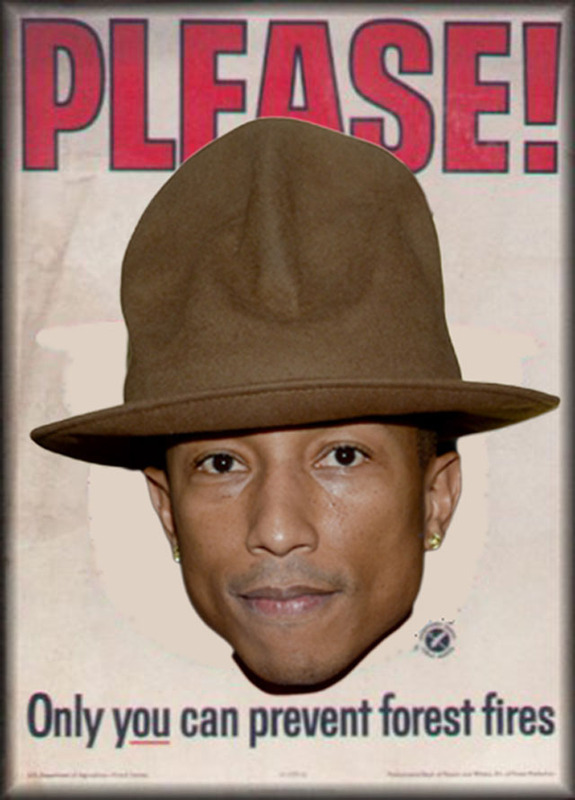 Not because of his star-studded performance alongside Daft Punk, Nile Rodgers, and Stevie Wonder but because of a large, brown hat worn by Skateboard P himself. The infamous ‘Smokey-the-Bear’ hat would eventually be tracked down by the internet and though the hat is quite comical, the sticker price certainly is not. The oversized Vivienne Westwood hat worn by Williams typically sales for €95, or roughly $157. William’s hat is now owned by the Arby’s fast-food chain due to a perfectly timed tweet and eventual EBay auction purchase of the original hat for a mere $44,100. All proceeds from the auction were donated to From One Hand to Another, a charity that helps children learn through technology and the arts. Riding on the ‘hat-tails’ of his Grammy performance, Williams released GIRL, the follow up to his 2006 debut solo-album In My Mind. GIRL, which dropped Mar. 3, includes features from Miley Cyrus, Justin Timberlake, Daft Punk, and Alicia Keys. During its first week, GIRL came in at No. 2 on the Billboard 200 chart with 113,000 copies sold. This tally came in under In My Mind, which sold 142,000 copies its first week. I finally was able to give GIRL a full listen this week and wholly expected worldly-rhythms with the trance like vocality I have come to expect from the former member of The Neptunes. 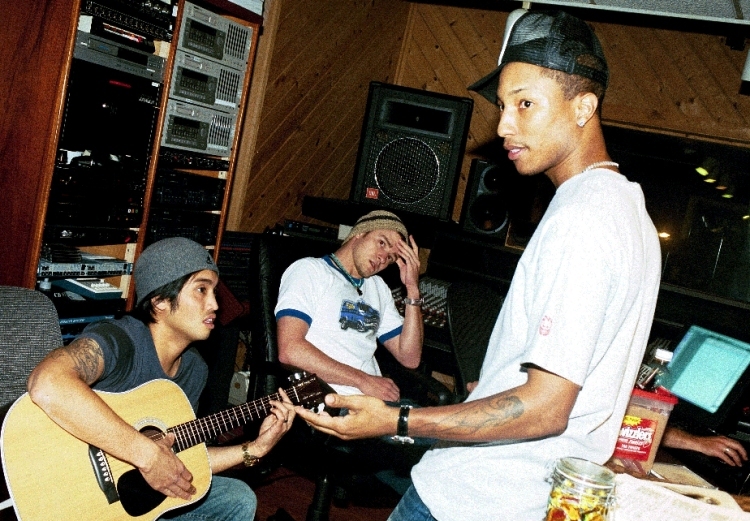 *The Neptunes was the previous production project between Williams and longtime friend Chad Hugo. 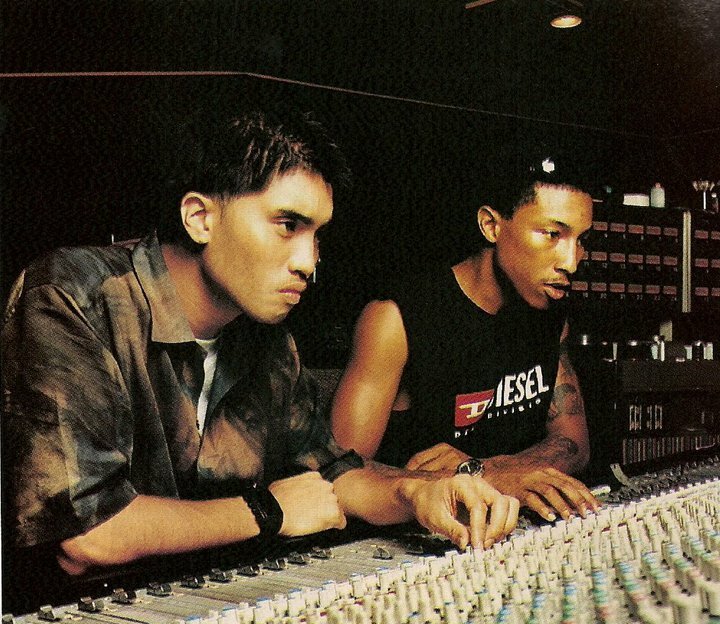 Together, the group earned a few Grammy nods including ‘Grammy-Producer of the Year 2004’ and are responsible for a slew of singles you know all the words to. William’s album was not without controversy. The album artwork features Williams enrobed with sunglasses next to three model-esque woman, dressed similarly. Across the web, the artist received backlash for the album cover not being diverse enough, as the women appear to have light complexions from left to right. What Williams does manage to showcase with GIRL is his range of musicality and ability to come up with the most memorable lyrics known to mankind. “It Girl” – Laid back, cruising down the coast type of feel. The instrumental truly takes off at 2:30 and an electric guitar adds trailing, ambient plucks accompanied by just the right amount of hypnotic cowbell. William’s voice glides smoothly along with the track, hitting significant high notes throughout. 2. “Hunter” – Reminiscent of James Brown’s classic vocal swing wrapped around a memorable call-and-response guitar rift. Though the lyrics are not the most intelligent, you’ll find yourself singing along during your day, with or without music playing. Today I was at the gym listening to music with headphones on and the lyrics, “Is that a tree/is that camouflage?/Come get eaten by the damn mirage/I’m a hunter,” permeated my thoughts. Why? Listen to the song and find out.